Several days ago, Jesus was greeted as a rock star as He rode a donkey into Jersusalem. This was the moment when everyone assumed that Jesus would give this big speech and rally the nation of Israel for the biggest revolt they had ever seen against the Romans. Quite frankly, Jesus could have done it. He could have pulled a “Braveheart” and got people excited enough to do it. The problem was, these Israelites had become so comfortable with their slavery. Sure, they wanted to be free, but did they want to be free enough to actually do something about it? Nope. The Israelites were sort of busy celebrating Passover. When Jesus made a spectacle of himself it was cutting into their feasting time. They would have feasts, parties, and gatherings year after year for hundreds of years, and they knew that each one of these holidays symbolized something about their heritage. Deliverance from Egypt, the wandering in the dessert, and salvation from sins on a yearly basis pretty much explained all their celebration. The odd part was that no one ever questioned why they celebrated these things in the way they did. Could it be that these feasts and festivals were not meant to only remind them of what God had done, but also prepare them for what God was going to do? Nah….If that as the case God would have just told them. Anyway, the feasts were fun and all, but there was something about them that was so…empty. Think about it. This nation was so used to annointed individuals being sent from God who possessed God’s favor enough to do amazing things on their behalf. They were used to Sampson slaying thousands of soldiers, Moses looking pharaoh straight in the eye and walking the Israelites out the front door, and David slaying the giant that was standing in their way. In their perspective, this is how God operated; through humiliating the enemy and showing His power through force and deliverance. The one they called Jesus was breaking this mold. 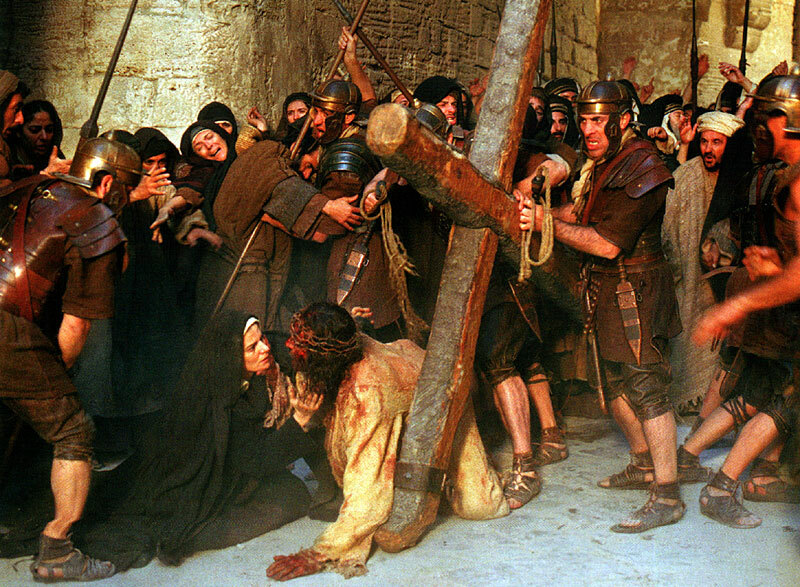 A week later, as He dragged this cross of humiliation through the middle of town, people realized how weak He was. He didn’t even defend himself when mocked. He seemed like he was so preoccupied with what He was doing that He could not even muster the energy to fight back. Did He even care that He was being led to slaughter? What these people didn’t realize was that Jesus had one focus in His life, and at this point in history, was so close to actually seeing it happen. His mission was about complete and He could care less about the mocking, spitting, and rocks being thrown at Him. Granted, He cared about them all, but He had one goal in that moment…He ignored the world’s collective tantrum so He could fulfill His purpose. I am so glad He never lost sight of His goal. The fact that His death was not permanent means that mine doesn’t have to be either.